The starships of the long-time fan-favorite Star Trek universe will soon have their own HeroClix game. 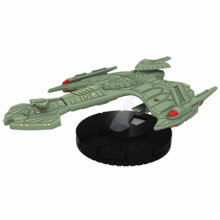 WizKids will release Star Trek HeroClix: Tactics in February 2012. The first series will include more than 20 different pre-painted starships, including Federation and Klingon vessels from all the different Star Trek eras. The game uses the same mechanics as the other HeroClix games. 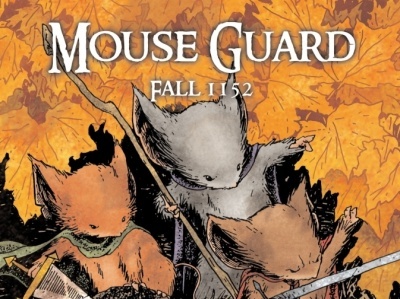 While it is completely compatible with the other titles, it is intended to be a stand-alone game. 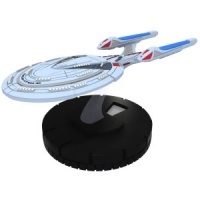 The Star Trek HeroClix: Tactics starter set will include four ships with click dials, a “Powers and Abilities” card, rulebook, custom dice, and two playing maps. The starter includes everything needed for two players. There will also be single figure booster boxes, which will be packaged 12 to a countertop display. The booster will be shrink-wrapped into six unit “bricks” for bulk sales. An Organized Play kit will also be available for retailers who wish to run in-store events.